A new printing technique developed at Harvard Engineering School uses sound waves to control and radiate droplets from a nozzle with incredible force, making researchers print thicker and more viscous can be more than ever. Honey, stem cell-based inks and liquid metals, all of which have been fluidly printed using these vibrations derived from acoustic techniques that researchers had previously used to float fluids, not to print with them. "Our goal was to lose sight of the viscosity [the thickness of the liquid] by developing a printing system that is independent of the material properties of the liquid," says Daniele Foresti, a researcher in materials science and mechanical engineering at Harvard University School of Engineering and Applied Sciences, said in a statement. Under normal circumstances, printers rely on gravity to make ink droplets and deposit them, according to the study. This is effective to some extent, but it limits the materials that a printer can use; a printer that drops droplets of fast flowing ink would not do a good job with much slower dripping sound. 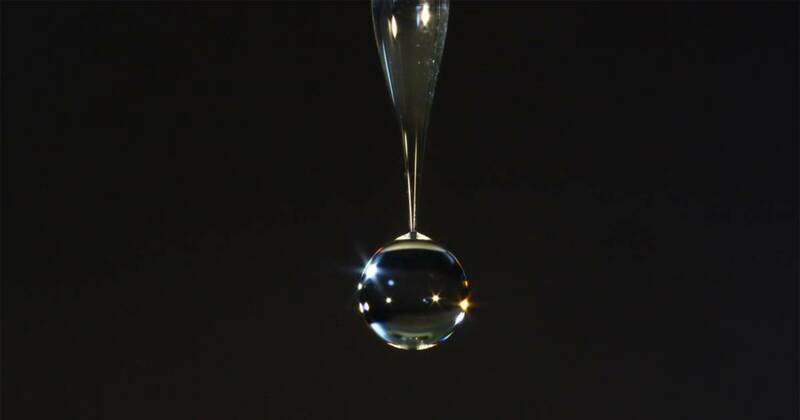 For the new method to work, the researchers tuned sound waves that collect droplets from a nozzle and only then would fire after the drops had grown to the correct size. And the burning is intense: the researchers wrote that their system accelerates droplets with more than 100 times of gravitational acceleration at sea level (near 1,000 meters per square second) – or about 3.5 times the sun's surface gravity of 274 meters per second in the Square. "The idea is to create an acoustic field that literally detaches tiny droplets from the nozzle, much like picking apples from a tree," Foresti says.